ChangeAngel employs innovative blockchain solutions to enhance its platform, develop new products and promote dApp integration. Currently, they are using AntumID/Digi-ID for sign-in/sign-up authentication. AntumID is powered by DigiByte Blockchain technology. 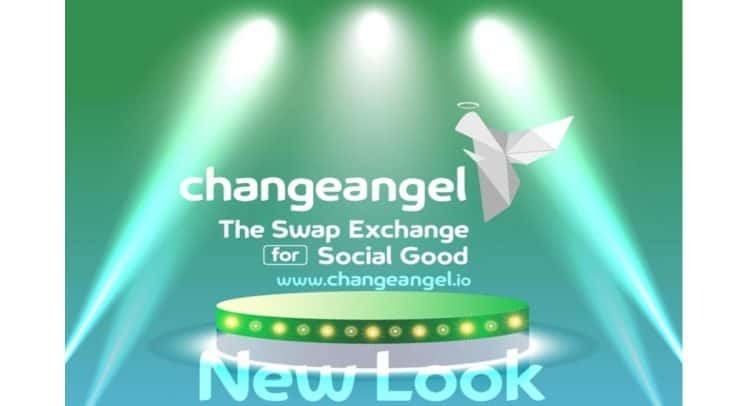 ChangeAngel.io is a crypto to crypto, wallet to wallet, no-custody, swap exchange service. The first currencies to be listed for direct swapping are DGB, POT, GRS, DOGE, DCR, LTC, BTC, ETH and USDC. Founder of the World Wide Web Tim Berners-Lee has become dismayed at how centralized power on the internet has become, and to that end, he’s launching a new startup that aims to put user data back in the hands of the users themselves. At first glance, the plumbing industry isn’t incredibly exciting to most – but that represented a huge opportunity to entrepreneurs Vape Kuzoyan and Are Mahdessian, who created the industry’s first true SaaS platform. In this piece, James Currier of FX Partners shares his key ingredients for startup success. Flexible curiosity, network effects, and finding a compelling story to tell are all explored in greater detail here. MBAs and hackers have long been the dominant forces behind the startup boom of the past decade, but that trend is changing. More VCs are seeing founders from non-traditional backgrounds (like education or healthcare) starting up their own groundbreaking companies as well. Notion has quickly become one of the most disruptive startups in the workplace collaboration space. It’s led by Ivan Zhao, a product designer who’s hell-bent on creating the most customizable, elegant productivity tool possible. The startup accelerator recently made a strategic investment in Brew, a promising podcasting platform for paid content. The investment is indicative of the firm’s increasing focus on the paid podcast industry, which is set to see exponential growth over the next five years. In this wide-ranging discussion, Fried gives a behind-the-scenes look at the inner workings of Basecamp and his philosophy for doing meaningful work and making a difference in society while running a profitable business. This year’s batch of Y Combinator startups is set to be its largest yet. And it’s a diverse group too, with founders working on fascinating projects ranging from AI-as-a-service to instant oncology diagnostics. After falling out with Mark Zuckerberg over privacy concerns, now Brian Acton is on a crusade to get more users than ever to leave Facebook – starting with a speech this week to university students at Stanford. Emetti’s founders overengineered their product in its early days, and in this piece, they explain how they went back to the basics to simplify both their UX and their business model. Tags: Bitcoin, Blockchain, BTC, Crypto Exchange, currencies, DCR, DGB, DigiByte, DOGE, ETH, GRS, LTC, POT, swap exchange service, USDC.